Thu., Aug. 30, 2018, 5 a.m.
Users can report either on their phone or computer. Washington’s citizen Moose Survey begins Saturday. The Washington Department of Fish and Wildlife is asking citizens to report moose sighting in Okanogan, Ferry, Stevens, Pend Oreille and Spokane counties between Saturday and Nov. 30. 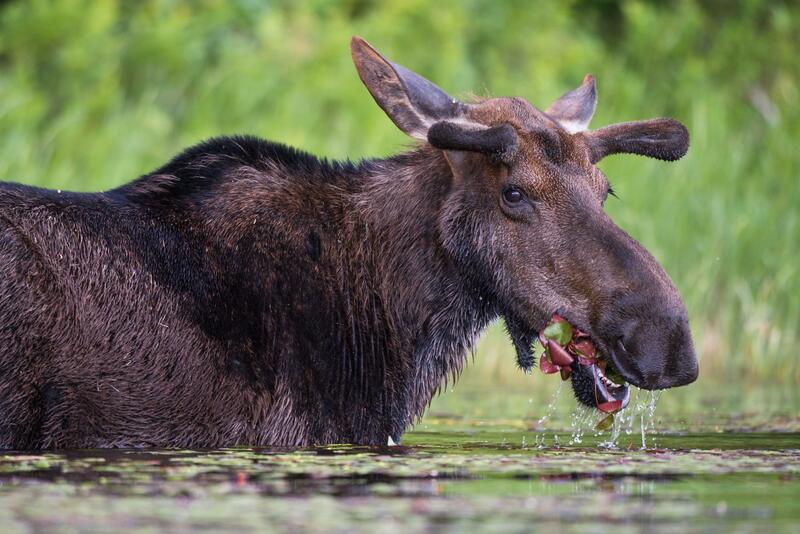 The utility of the data was confirmed in the 2017 Citizen Science Moose Survey results, released this week. In 2017, WDFW received 433 reports during the fall survey window. More important, Oyster said, the calf-cow ratio observed by citizen scientists was consistent with the ratio documented by WDFW biologists. That tells Oyster that the citizen survey is relatively accurate. The average calf-cow ratios for Pend Oreille, Spokane and Stevens counties was 38, similar to what was observed in 2016 (36). Those three counties were the only counties that received enough reports to be statistically relevant. “I’m pleased with the work that this public moose survey has done,” Oyster said. Data from the citizen survey will be combined with WDFW survey data and hunter-harvested moose data to estimate the moose population in northeast Washington. For decades, Washington’s moose population has grown despite nationwide declines. Why Washington was different is not clear to biologists. That question is the focus of a large multiyear study tracking collared moose. Data collected by citizen scientists will give biologists another set of data to examine. “It seems to be pretty reliable data, and so it’s all a plus for us,” Oyster said. Published: Aug. 30, 2018, 5 a.m.